113479 visits since Jan. 2007. 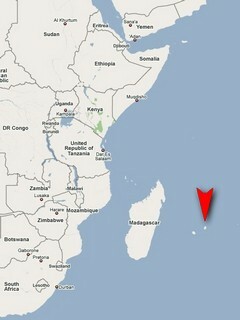 Mauritius is located in the Western Indian Ocean and belongs to the Indopacific province. It is a small subtropical island surrounded with warm water and experiences a rainy summer and a gentle winter dominated by the Alizee winds. 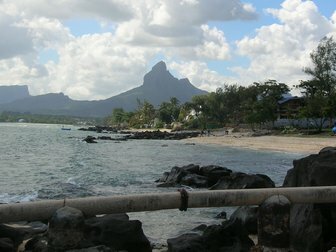 The western coast of Mauritius extends from Port-Louis, the capital city in the North to Le Morne, a massive rock in the South. The north part is rather exposed with very little reefs but the south is sheltered by a coral reef. 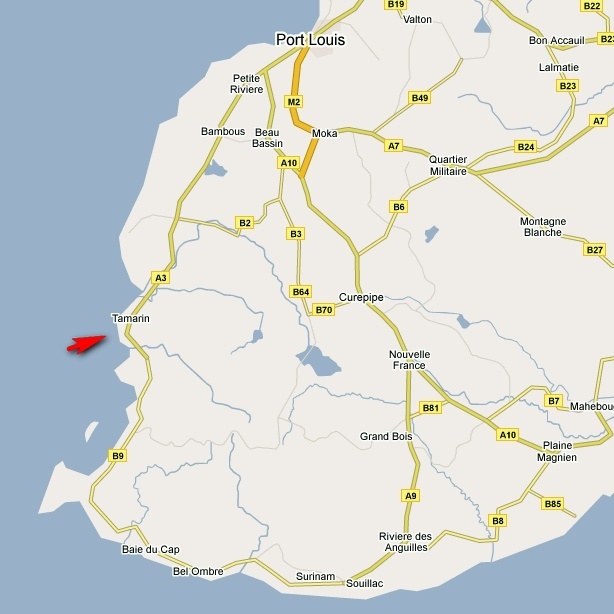 Tamarin to Black River coast is about 4 Km long and is in the reef sheltered southern part. Thus a lagoon separates the shore from the high sea. The Tamarin area is rather rocky with basalte boulders emerging at low tide, and when walking down south, sandy beaches become more frequent. In the southernmost part of this area the Black River Estuarine allows a small Mangrove to grow and the sand turns into clay. 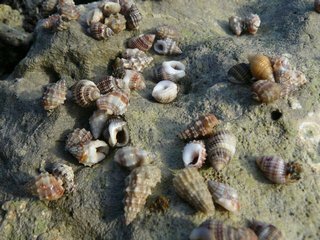 These different conditions permit a good diversity of shells to settle in a rather small area. 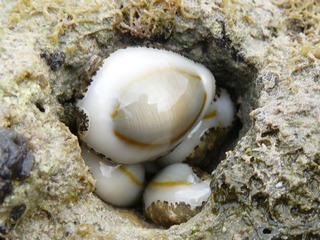 In the north, rock molluscs are quite common as in the south sand molluscs are dominating. Coral molluscs could be found about everywhere. Having lived here for a few months I could collect a great number of species. Most of them come from walks along the beaches at low tide. The quite sea in the area helps to find dead shells in decent conditions. 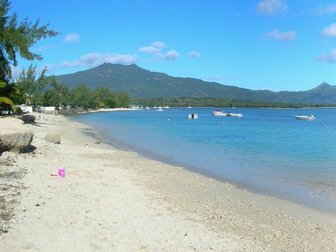 In the south, the beach has been artificially built up 20-30 years ago from sand dredged in the middle of the lagoon. 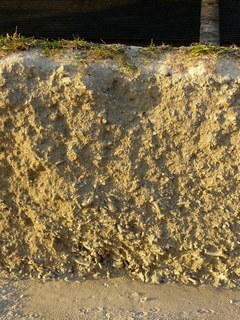 Little by little, the erosion releases the shells and other things locked in. Thus some uncommon species can be found but most of them are in subfossil conditions. Certain species may have disappeared from the area since the embankment was built up like this Pleuroploca filamentosa	or this Harpa amouretta	. 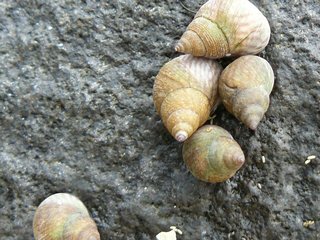 At low tide, many gastropods can be observed like the common Nerita plicata	and the very abundant Planaxis sulcatus	. 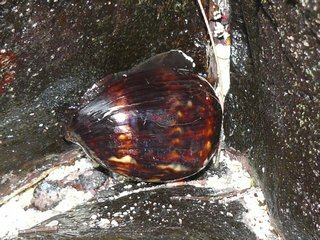 In the black basalte area it is possible to find the typical Cypraea mauritiana	together with the Purpura persica	most often locked in crevices. After 6 months of survey, I listed over 200 species of bivalves and gastropods. Most of them were rather uncommon but the diversity of the site threatened by overboating and overpopulation is still good. Most of them are listed in the Conchylinet collection, so do not hesitate to discover them using the Interactive Plates feature of the site.